Richard Hammond, former co-host of Top Gear has been taken to hospital in Switzerland after a serious crash in a rare Rimac Concept One electric supercar. 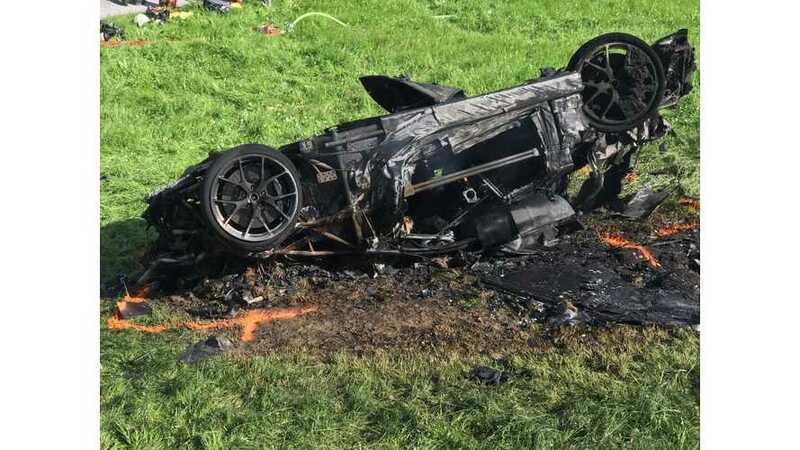 At the time, Hammond was taking part in Bergrennen Hemberg, a hillclimb event in St. Gallen, as part of the Amazon series - "The Grand Tour"
Hammond was able to exit the car under his own power, and managed to avoid the subsequent fire, before being air-lifted to hospital. 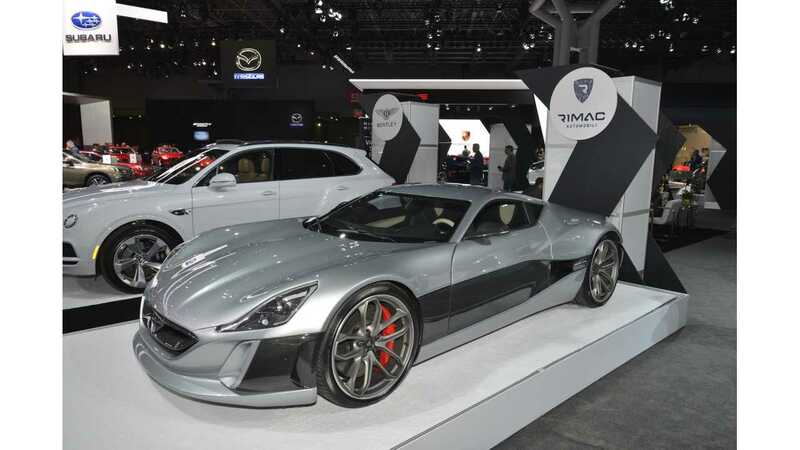 As the the 1224 horsepower(1,180 ft.-lb of torque) Rimac Concept One, it has obviously been written off...leaving just 7 copies in existence today. 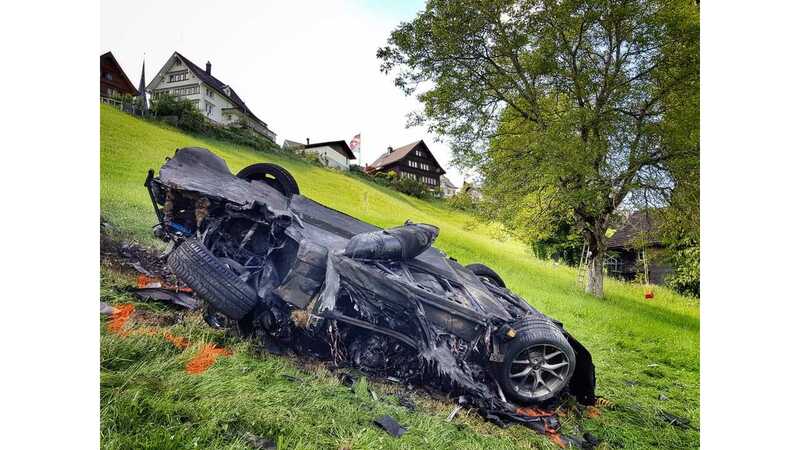 "Richard Hammond was involved in a serious crash after completing the Hemburg Hill Climb in Switzerland in a Rimac Concept One, an electric supercar built in Croatia, during filming for The Grand Tour Season 2 on Amazon Prime, but very fortunately suffered no serious injury. Richard was conscious and talking, and climbed out of the car himself before the vehicle burst into flames. He was flown by Air Ambulance to hospital in St Hallen to be checked over revealing a fracture to his knee. Nobody else was in the car or involved in the accident, and we’d like to thank the paramedics on sight for their swift response.  The cause of the crash is unknown and is being investigated."